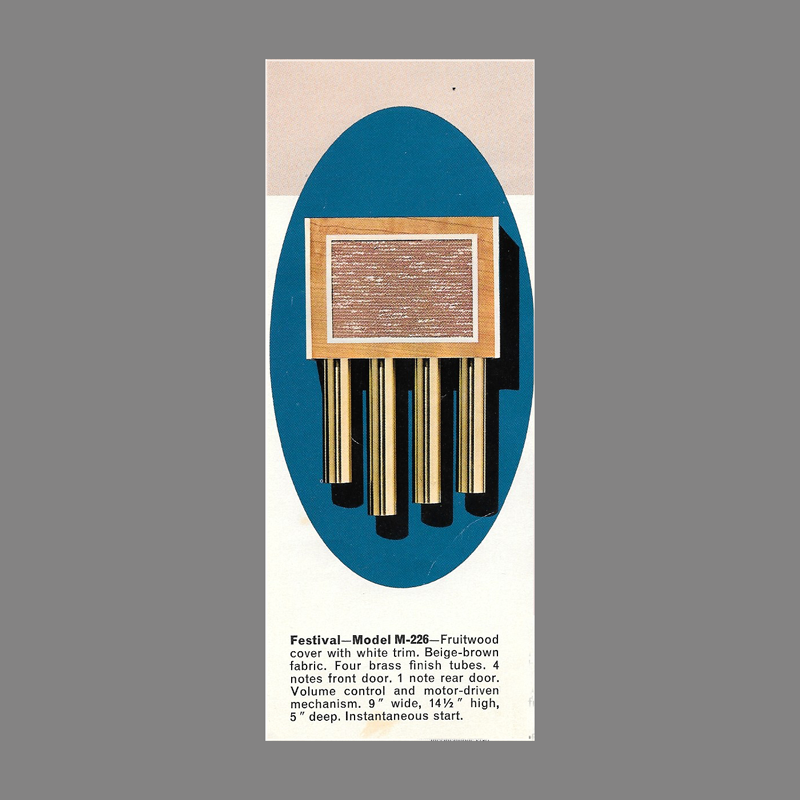 Festival—Model M-226 Fruitwood cover with white trim. Beige-brown fabric. 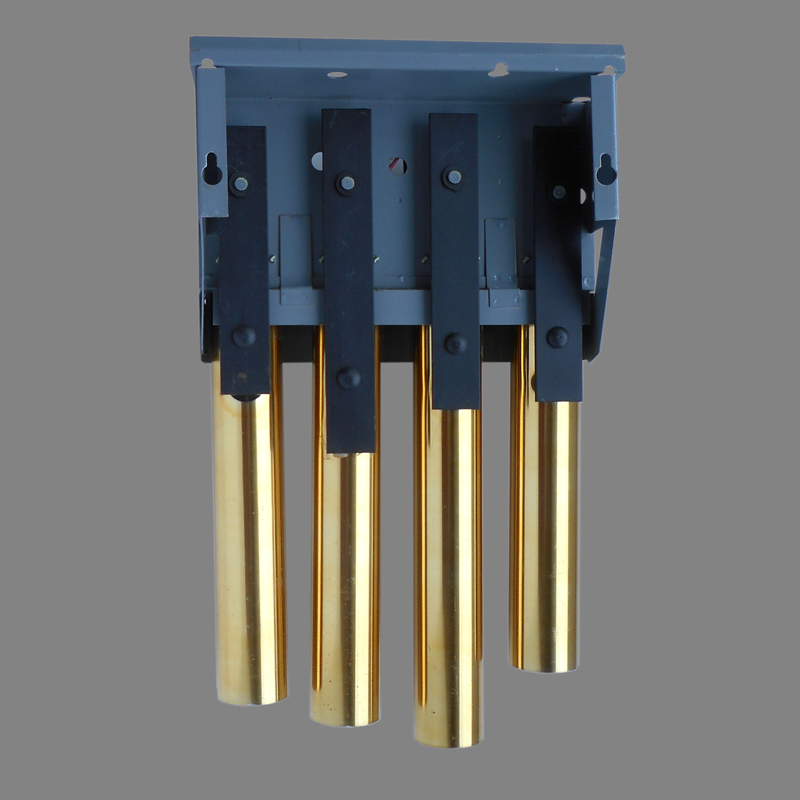 Four brass finish tubes. 4 notes front door. 1 note rear door. 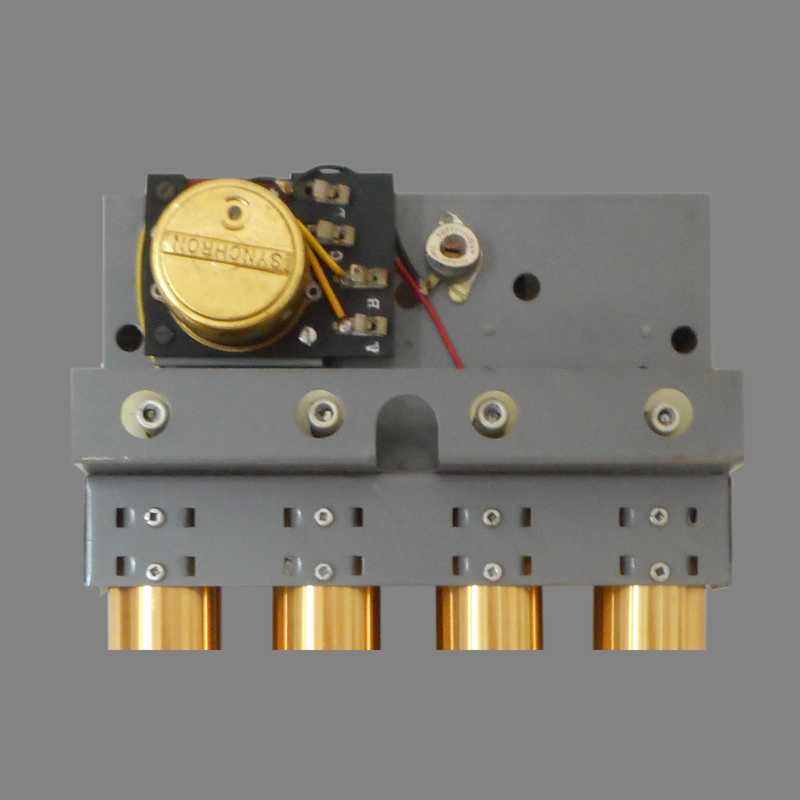 Volume control and motor driven mechanism. 9″ wide, 14 1/2′ high, 5″ deep. Instantaneous start. 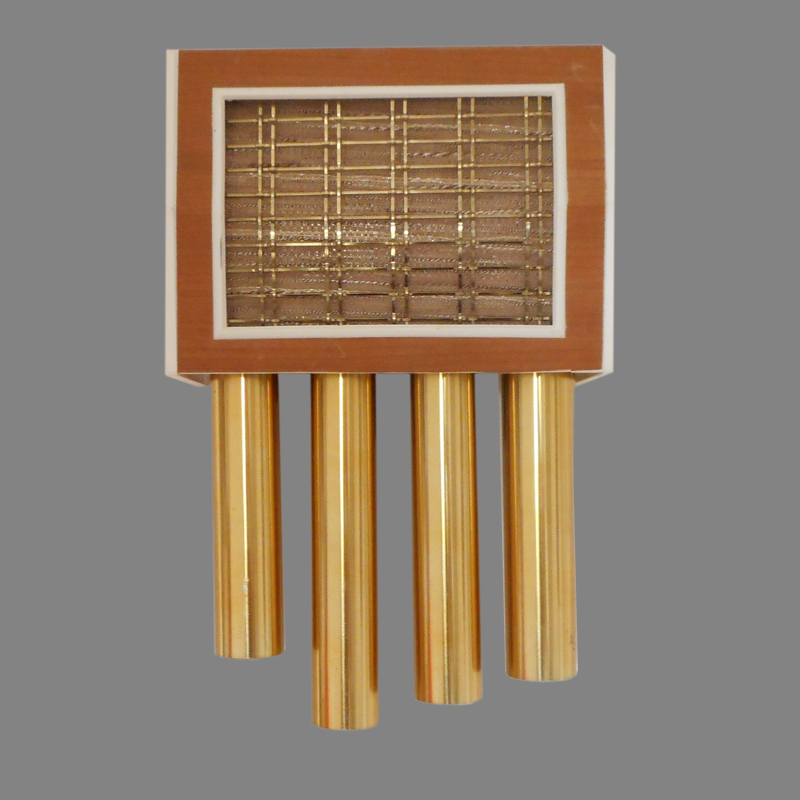 The Mid-Century design features an angular Fruitwood veneer trimmed plastic case with an acoustically transparent perforated metal sheet supporting speaker fabric and a brass grill. 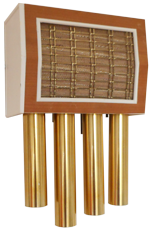 A distinctive Miami-Carey design note, inherited from Edwards, is the “inverse skyscraper” arrangement of brass resonator tubes with the two longest tubes in the center as opposed to virtually all other four bell Westminster chimes with tubes arranged from shortest to longest.